Lots of you loved my recent Salted Caramel Porridge recipe and the reality is that as the temperates drop, warmer breakfasts will no doubt be the order of the day. That said, smoothies do feature regularly as a breakfast on the go for me as well as being my go-to when I need to satisfy a sweet craving in a hurry. 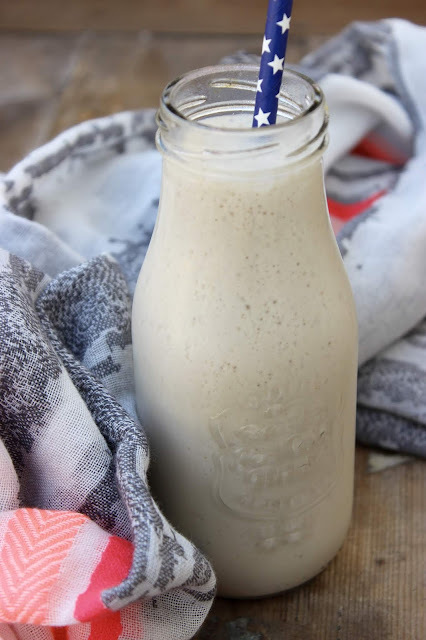 This Salted Caramel Smoothie is particularly well suited to the latter, thanks to its creamy texture and sweet flavour. Feel free to replace the almond milk for an alternative if you need to follow a nut free diet.